What a weekend! Daisy Expo has always been the number one highlight of the year! It’s the first big bang in the winter gloom and this year it is just that extra special because I too am now a part of the Daisy Beauty Gang! I will be starting with Daisy Beauty as their Sales Rep together with Kicki, Sam & Beauty By K. I am very excited for this opportunity (and quite nervous too!) and cannot wait to share my experiences with you all! As for now, my blog will stay here and I will take a look at options if I would like to move to the Daisy Portal or stay on my own domain. Let me know in the comments what you think I should do? Anyway on to the more interesting stuff! DaisyExpo 2017! 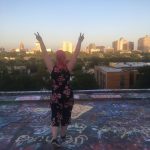 Though I was invited as a blogger, I was able to jump right in and help out! I did of course keep my camera handy though! The first day was lectures and unfortunately I only got to sit in one of them, the rest of my day went to help set up the exhibition for the day after so this post is all about day 2 of the Expo! Lets start on the bottom floor! Garnier had the most beautiful flower arrangements! I snapped the whole progression and it was just fantastic to see the final result of the room! They released four new series in the Respons and one of them has Maple extract and castor oil! It says to detangle, revitalize and care so I am super excited to be able to try it out! 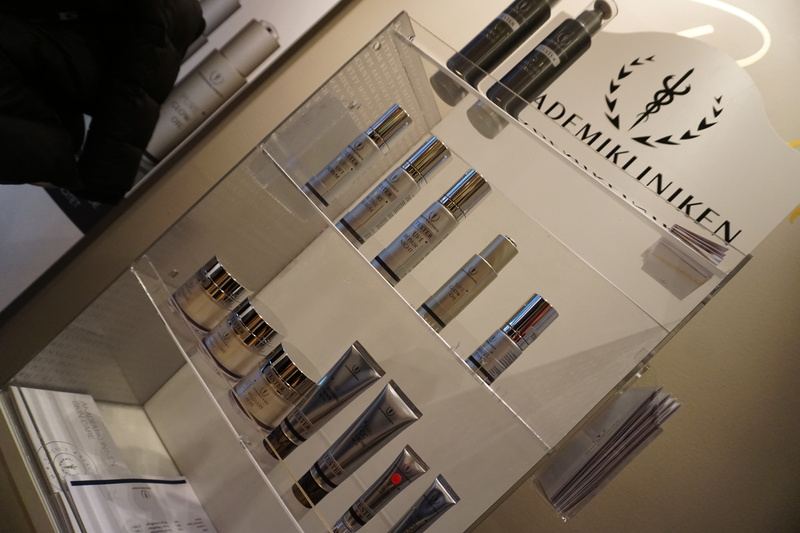 Akademikliniken was also present with their latest Pure Glow Oil (ca. 1700kr/30ml) and they also had competitions throughout the day! The Pure Glow oil is a highly concentrated Vitamin C that works against early aging and also works on lustre and elasticity. New to this year is Cinq Mōndes! I got in contact with this brand I believe a year or so ago so it was great having them present! 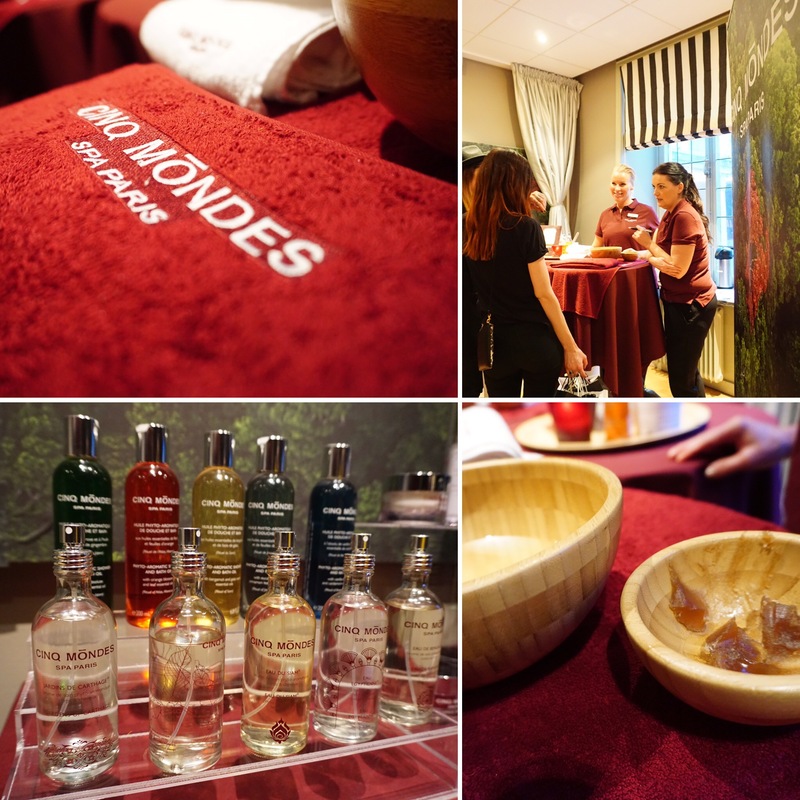 Cinq Mōndes Spa Paris is a beautiful French Spa brand which is created by Jean-Louis Poiroux. 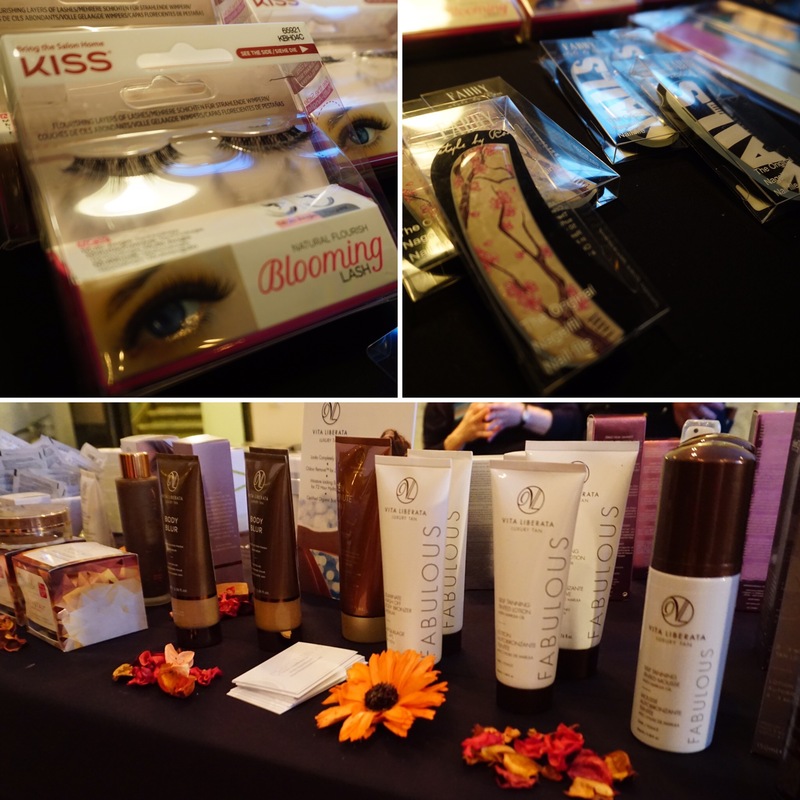 A return was from Kiss with their new Blooming lashes, Fabby Style with their glass nail files, and Vita Liberata with a 10 minute mask… but this time they also had a new brand called Atache. The brand has 30 years of experience within Dermatology and was founded in 1983 with ASAC pharma. 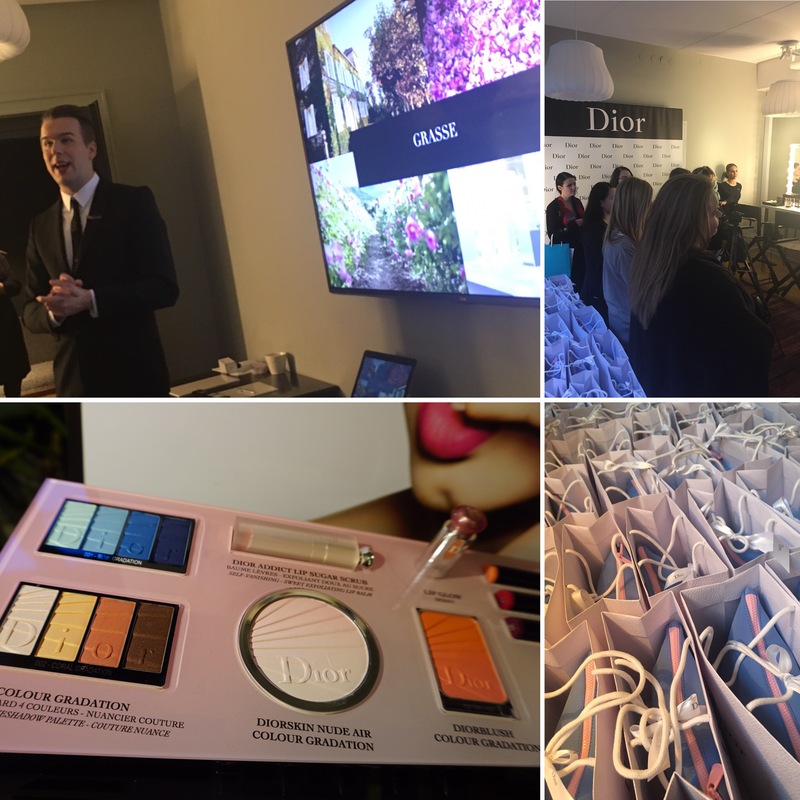 Speaking of Paris, Farao from Dior held mini fragrance trainings in the Diro room. I thought that their worksamples were so freakin exclusive! And not to mention their new Spring Collection is so colorful and all about the Gradations! PS: did you know that Dior has now Boy George and Rami Malek as new faces of Dior?! Mums! Ellos was a newcomer to the Expo and they had a mini living room that was super cozy! They servered these huge gorgeous looking cupcakes too! Makiash also was a part of the Ellos stand and I can honestly say that I have never tried anything from the brand (nor from Ellos for that matter!). I would love to give that loose powder and that highlighter a whirl from Makiash but also the Take a shower products from Ellos Beauty! 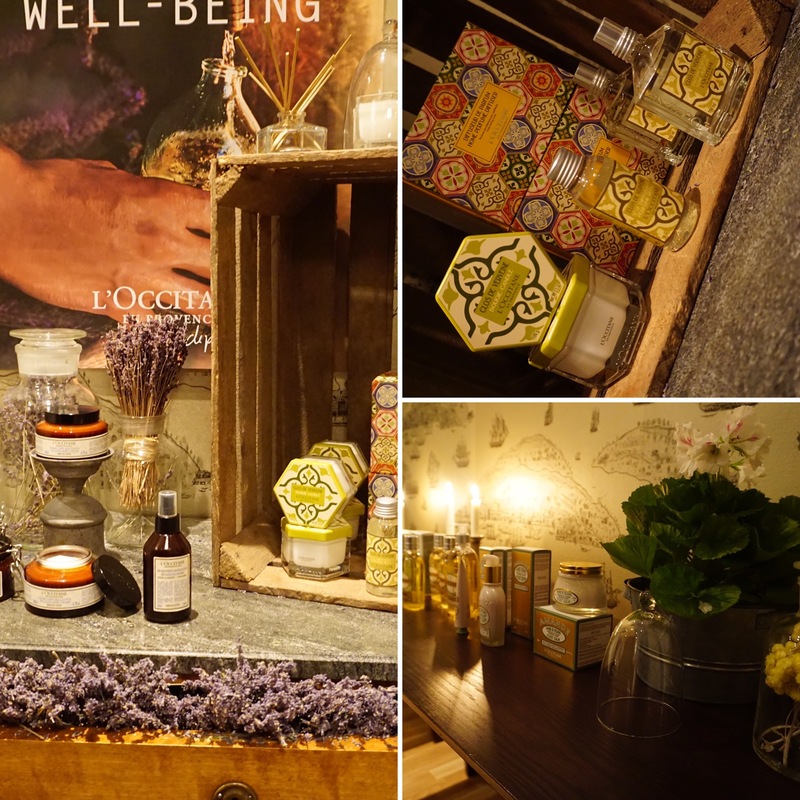 L’Occitane is a brand I haven’t had all that much contact with but the ladies were so welcoming and the room smelt like a french spa! I loved the tranquility they set up in their room and they were offering hand massages! 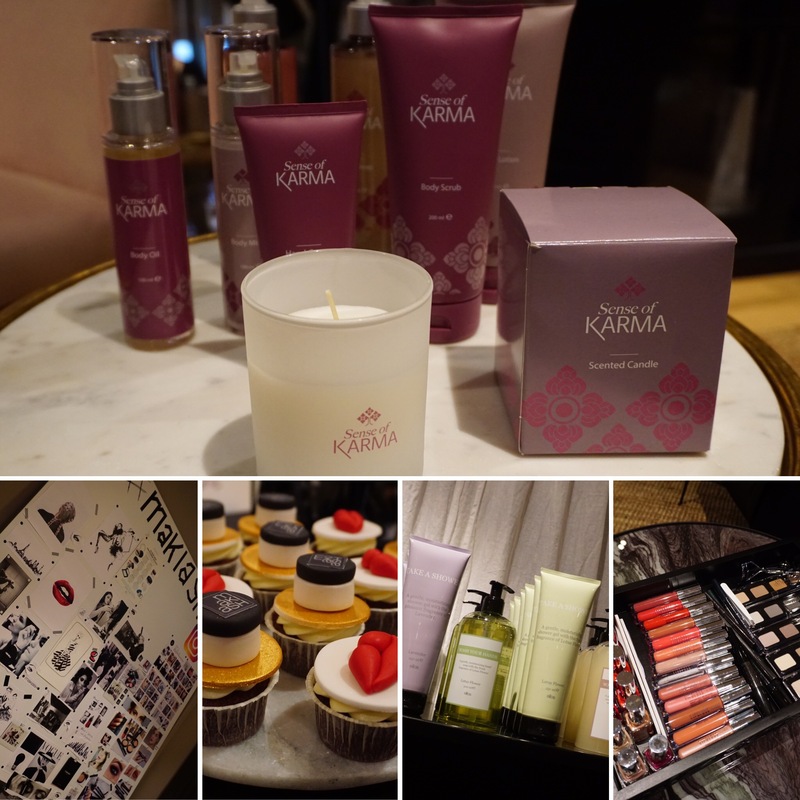 Another favorite room was Scandinavian Cosmetics with Escada, Tweezerman, Max Factor and even Lacoste! 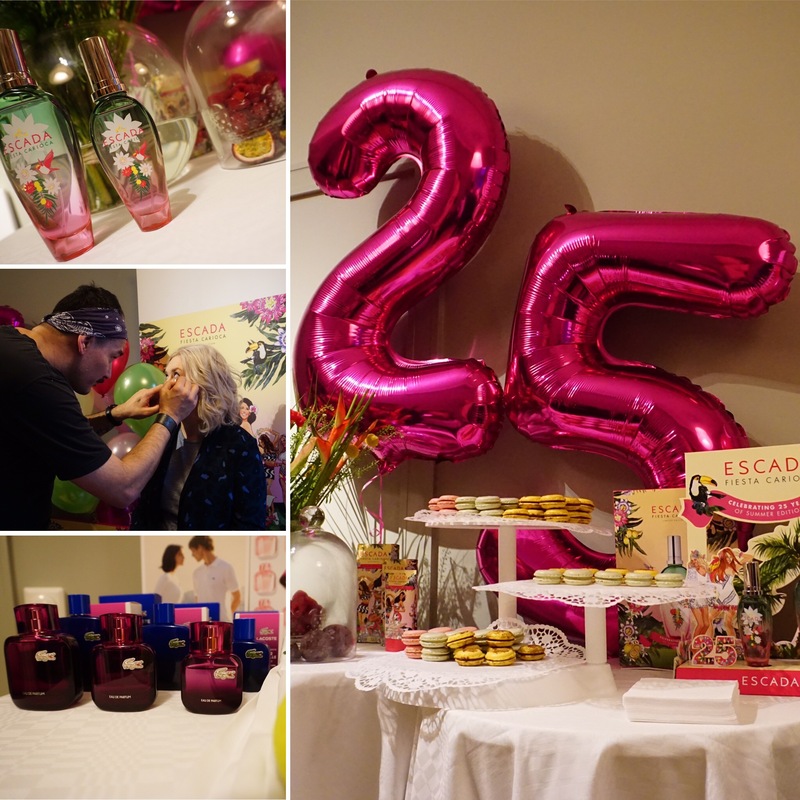 Escada is celebrating 25 years of summer frangraces with their latest: Fiesta Carioca (420kr/30ml)! 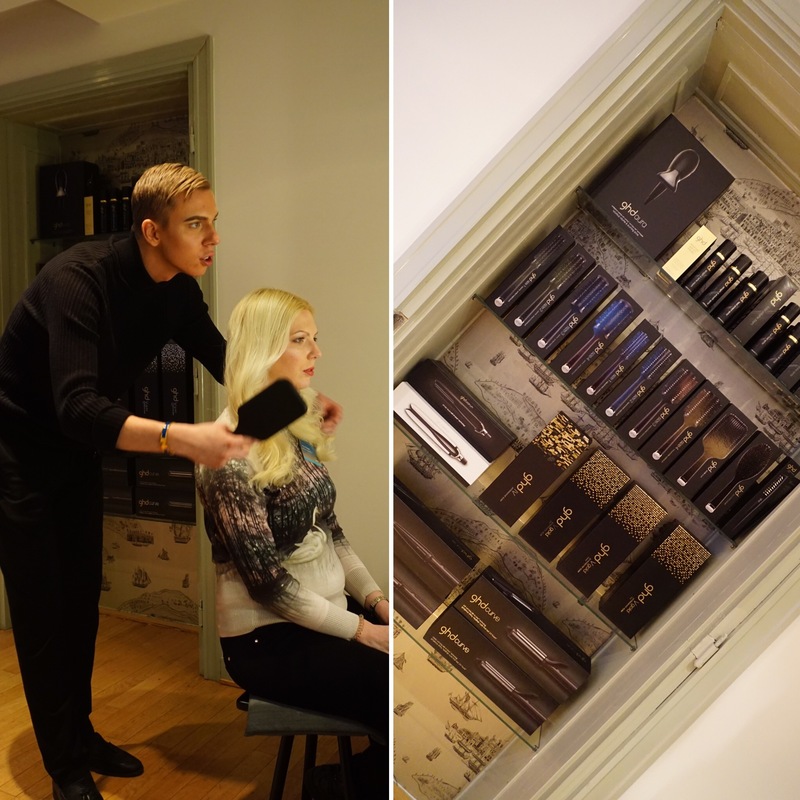 They also demoed the two new Lacoste L.12.12 fragrances for him and her AND also had the amazing Makeup Artist Tomas Lenneryd who you can see here doing Kicki’s makeup with Max Factor! Also new for this year was Toni & Guy with Alf Sörensen. 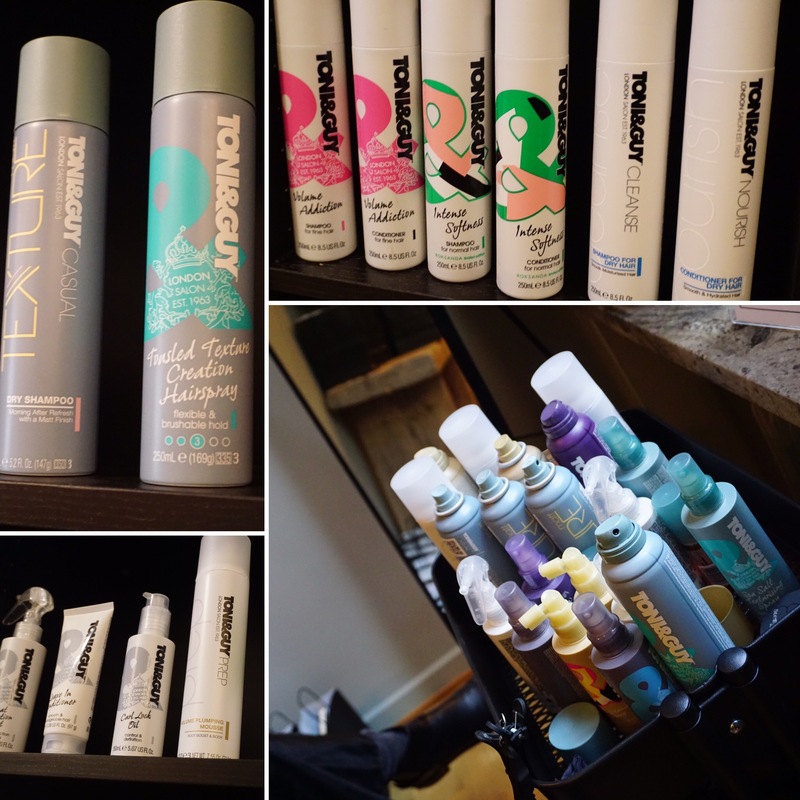 I have had much contact with Alf Sörensen during my Sephora days and it was awesome to see that they have gotten the haircare brand. The room smelt yummy AND they were also serving scones! Whew! I hope you all are still with me? Let’s take the stairs to the second floor! 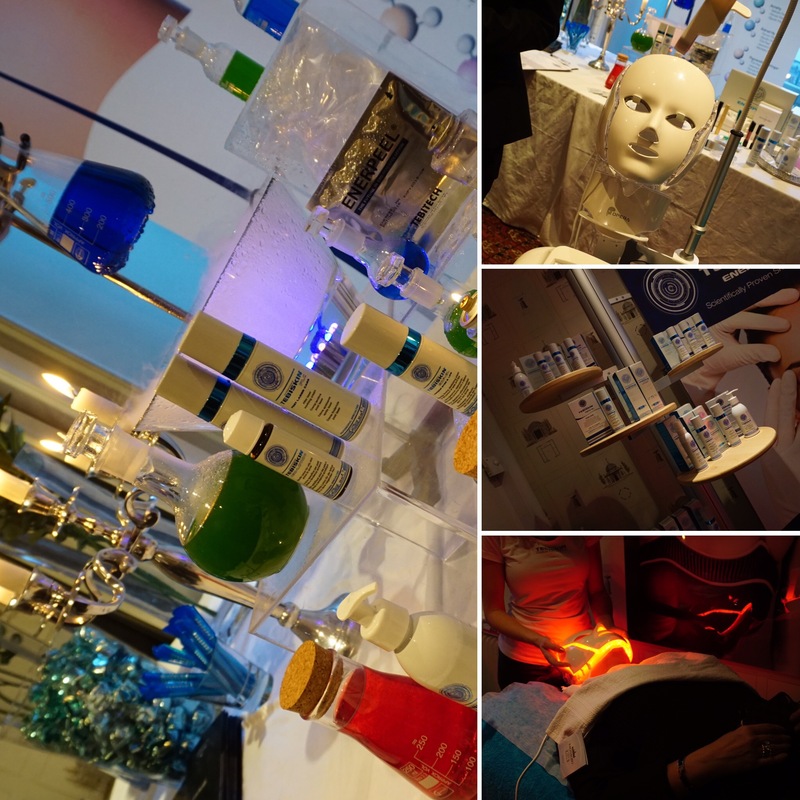 Derma ProMedical is also new and they took bookings- They also had this awesome LED mask that could be used in treatments. You can see Monas Universum trying it out above! 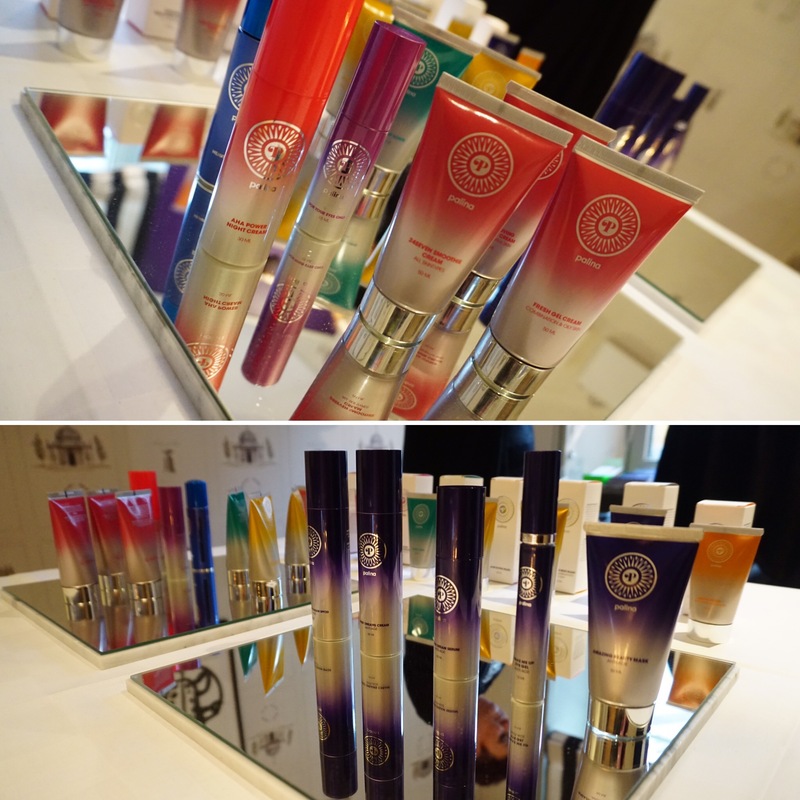 They also introduced the Tebiskin products which are new to me so hopefully I would be able to try them out soon! 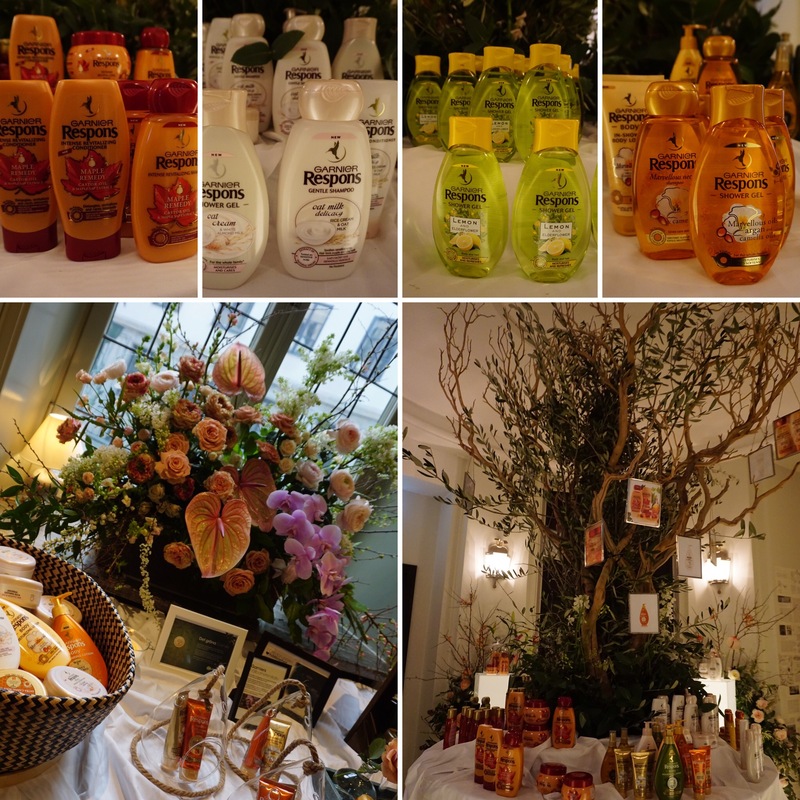 I was so excited to see that Yves Rocher was at the expo this year! They had a beautiful room filled with greens! 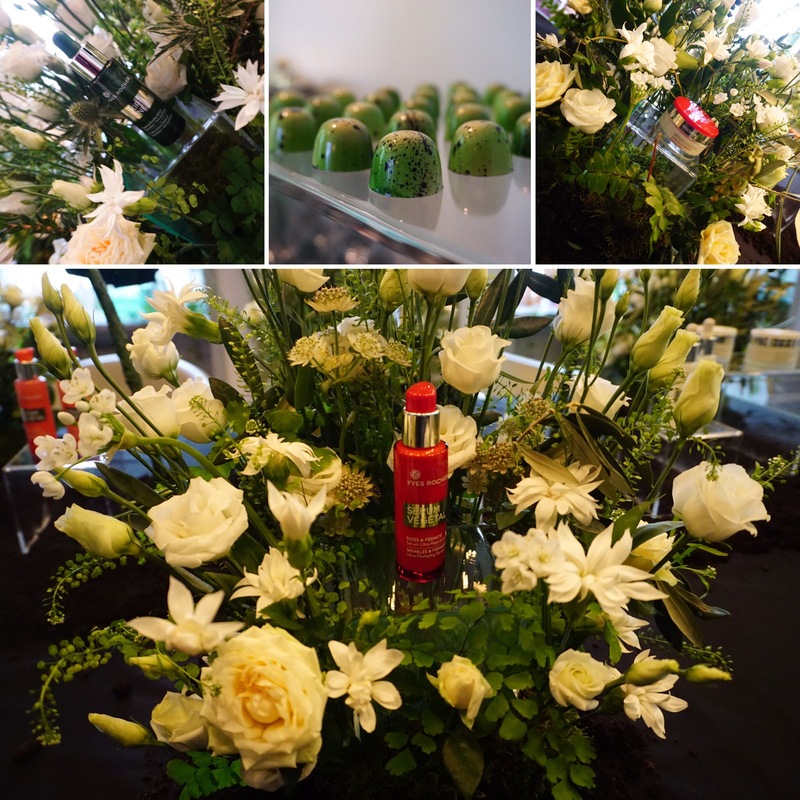 They had white flowers that decorated around their products and they even took in these awesome Mojito Paralines that looked like dinosaur eggs! 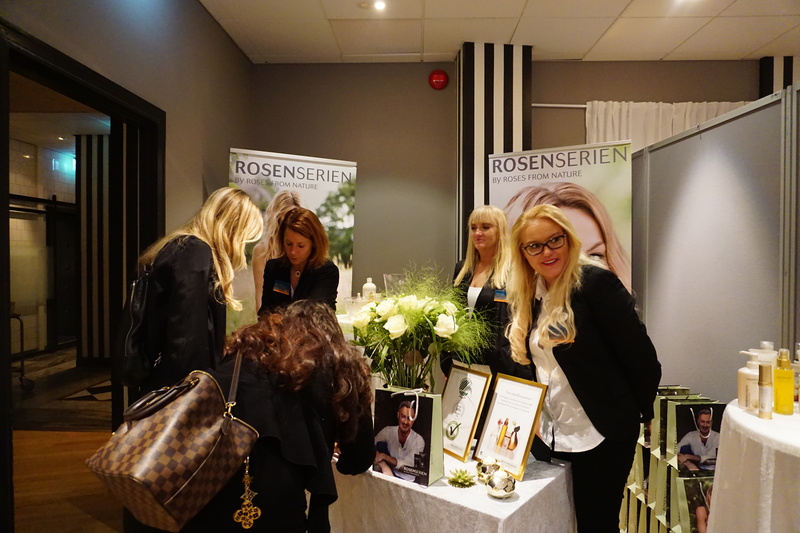 Guests also had the opportunity to get their skin scanned at Yves Rocher. Palina was also great to see since I bumped into them at other exhibitions earlier. They worked on new skincare which they then presented at this years expo! How awesome is that? The packaging is so colorful but classy! I had my eye on the Fairy Scrub and the Overnight Mask haha! Olaplex was the perfect lounge area! 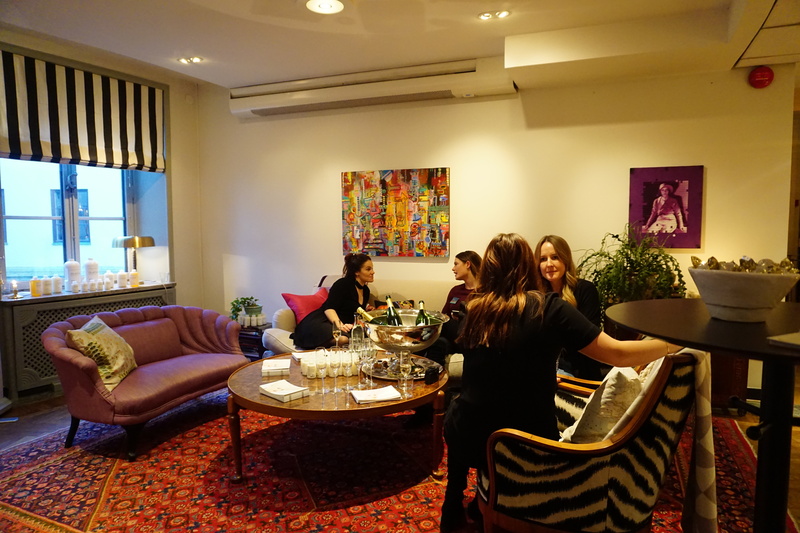 They spoke of their step 3 (259kr) and the women there were so fun to be around too! 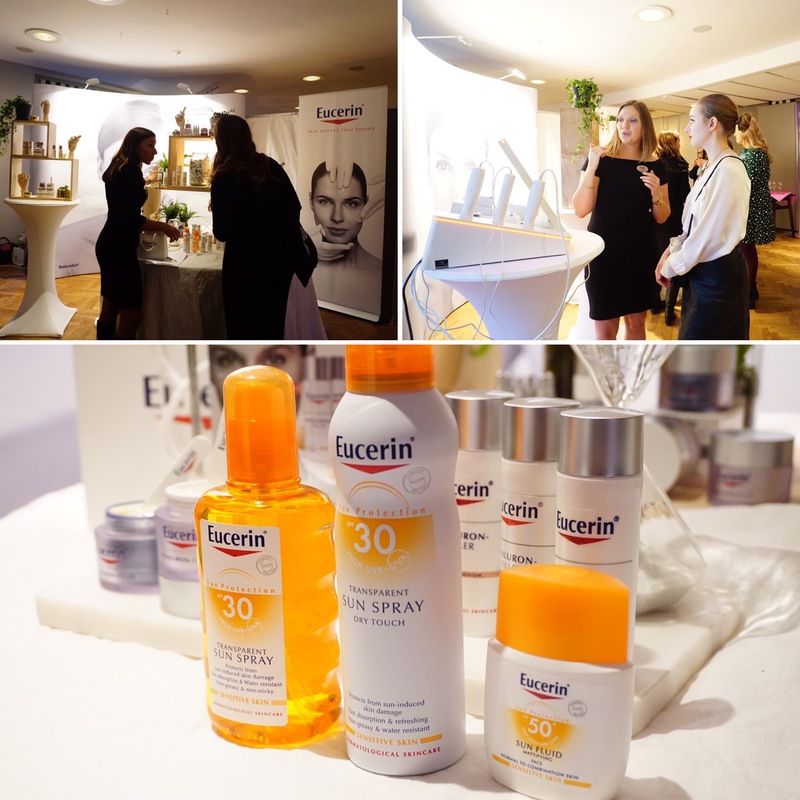 Guests had the opportunity in doing a skinscan at Eucerin and set up a new skincare routine! I personally was very interested in their sun products haha! I am obsessed with sunscreen and I saw that they had a 50+ sun fluid (129kr/50ml) that is mattifying for the face and for sensitive skin! Apoteket‘s set up was elegant in mirrored black! This matches their products super well but gosh, a bit difficult to photograph! I have not personally tried their products (yet) but they looked super interesting! GHD had amazing stylists who offered to do some blowouts, here you see Alexander working his magic! 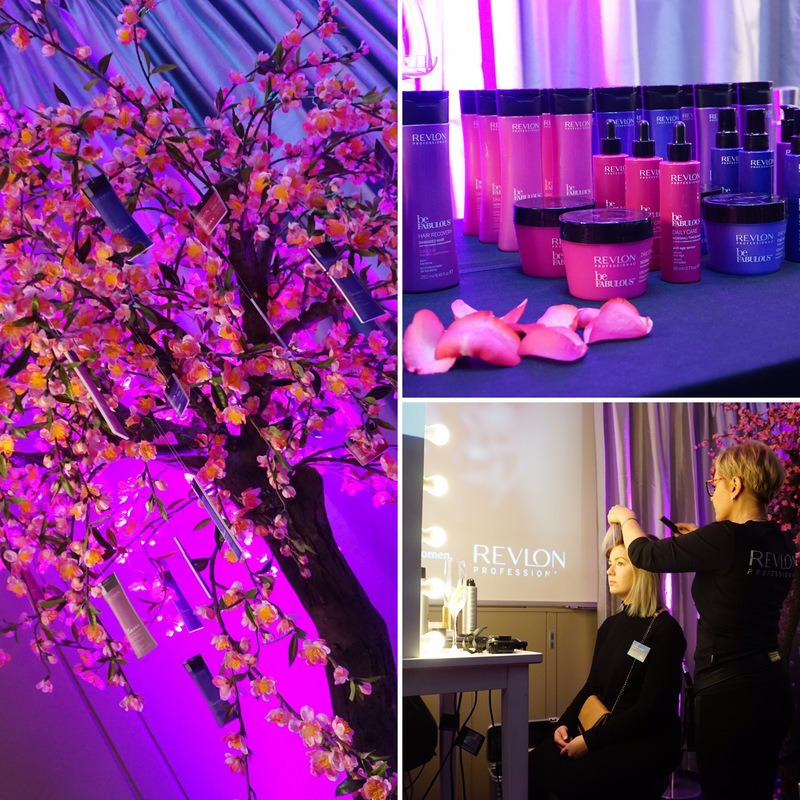 Revlon is also a newbie at this year’s expo and I loved that they used the scene in the screening room! They set up and made beautiful curls! Here you can see the beauty Amanda getting her hair done! They recently released their Be Fabulous series! 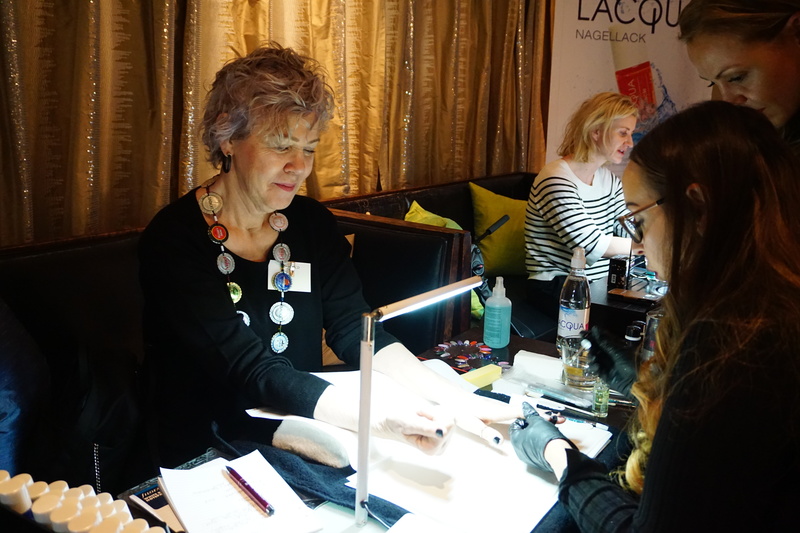 Here you can see Tanja from L.Y.X Cosmetics fixing some Lacqua & La Chrome on Linnea Öst. I personally am obsessed with L.Y.X and love the women and the concept behind the brand. Acasia Skincare is new for me and my (now) coworker Beauty By K wrote about them earlier so I can’t wait to try them out on my skin! 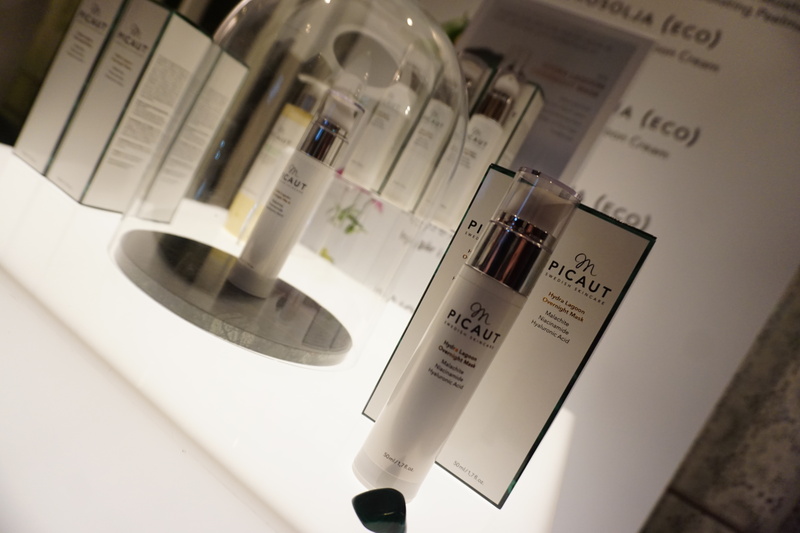 M Picaut released the Hydra Lagoon Overnight Mask (499kr/50ml) that has Malachite, Niacimide and Hyaluronic Acid. I was able to take one home on the first day and tried it. It did have a strong scent BUT worked wonders on my extremely tired skin! I need to try it longer before I can completely comment. 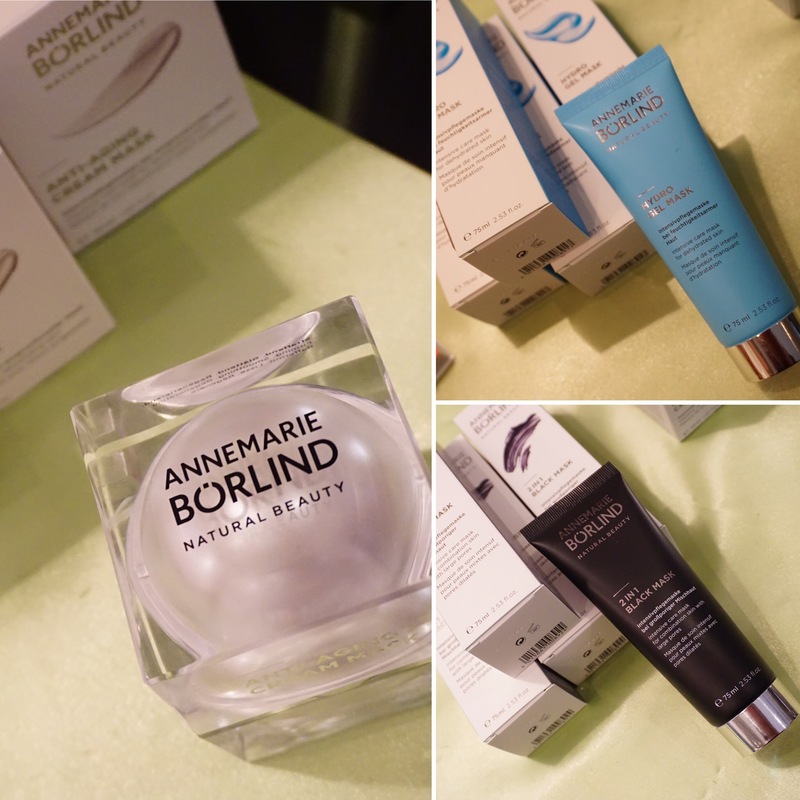 AnneMarie Börlind released three new masks: Anti-Aging Cream Mask, 2 in 1 Black mask and Hydro Gel Mask! I am seriously needing the latter two! 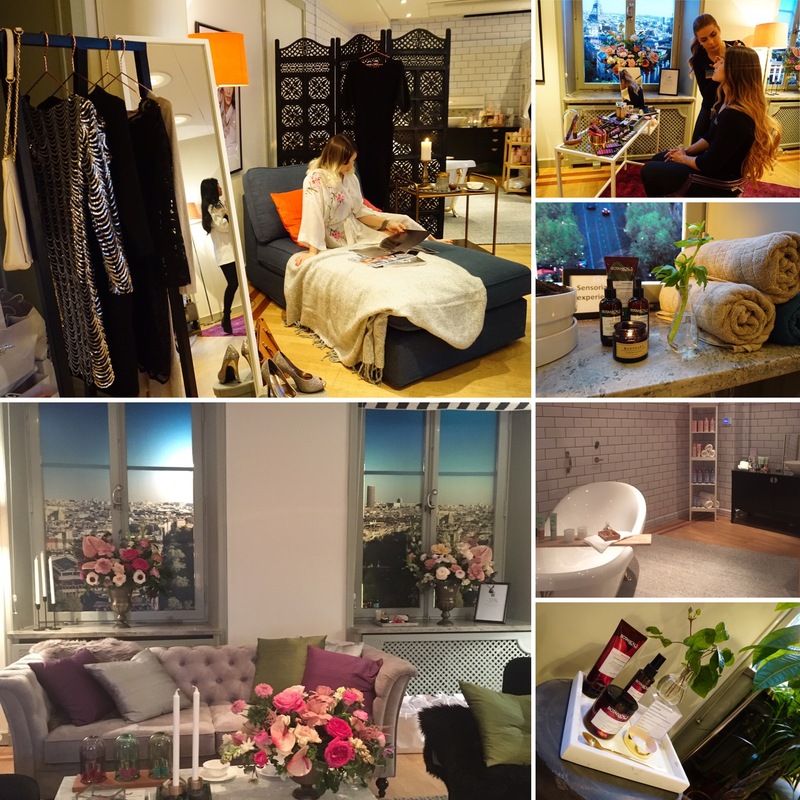 L’Orèal stood for the most out of this world transformation from conference room to Paris Apartment! They even covered the windows to make it look very parisienne AND there was even a parisienne living there during the expo! How cool is that? They released loads of new cleansers, makeup and I am loving the new Botanical Series! I will probably do a separate post showing all these news! I had an incredible two days and I really hope the guests and exhibitors also had a great time. Let me know what you’d like to see more of. 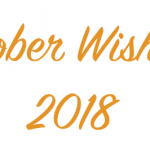 What brand are you looking forward to reading about here?